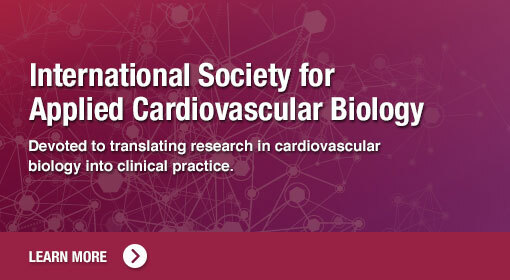 The International Society for Applied Cardiovascular Biology consists of members engaged in research endeavors in applied cardiovascular biology and actively solicits new membership applications from those individuals supporting the mission of the Society. 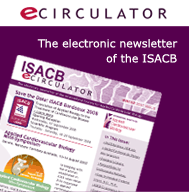 The International Society for Applied Cardiovascular Biology (ISACB) is devoted to enhancing discovery, development and clinical translation of cutting edge biomedical science for innovative, state of the art cardiovascular diagnostic and therapeutic modalities. Toward this end, it fosters communication among academic scientists, clinicians and industry-based scientists. 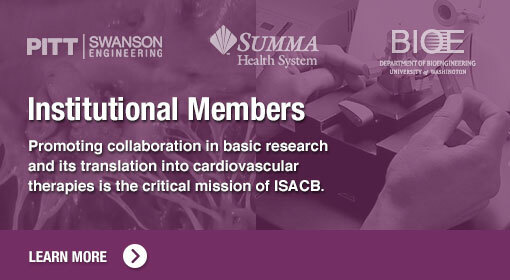 ISACB is thus a key forum for discussion of solutions to difficult clinical, scientific and technical challenges related to the development, the validation and the establishment of safety and efficacy of diagnostic imaging and laboratory tests, advanced biomaterials, cardiovascular medical devices and innovations in cardiovascular tissue engineering and regenerative medical technologies. We regret to announce the sad news that our friend and colleague Dr. Allan Callow, MD, PhD, passed away on December 22, 2015. Allan was key to the inception of ISACB in 1987 and served as the Society's founding President from 1989-1992. At the April, 2015 ISACB Biennial meeting in Cleveland, he was honored by having the ISACB Young Investigator Awards named after him. We are indebted to Allan and will miss him greatly. It is with great sadness that we announce the news that our friend and colleague, Dr. Alexander (Alec) Whitehall Clowes, passed away on July 7, 2015. Alec was a key contributor to ISACB since its inception in 1987 and served as the Society’s 2nd president from 1992-1994. At the April, 2015 ISACB Biennial Meeting in Cleveland, he was honored as the featured keynote speaker. We will remain indebted to the vast knowledge left behind by Alec and will greatly miss the amazing human being that he was.